The Pennsylvania Flora Project is a field and herbarium-based study of the native and naturalized plants of the state. A comprehensive database tracks changes (www.paflora.org). Plant health and pest management examines ecologically sound controls. Research publications include The Plants of Pennsylvania, The Trees of Pennsylvania and The Aquatic Plants of Pennsylvania. Plant exploration, evaluation and introduction focuses on plants for urban environments and species of special horticultural interest, with a focus on eastern Asia, Pennsylvania, and eastern North America. Botanical research focuses on the floristics of the Commonwealth of Pennsylvania, and includes biological inventories, ecological studies, and plant systematic studies. 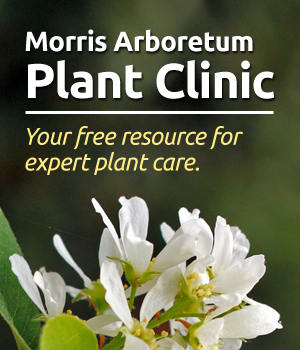 Since 1933, Arboretum botanists have studied and documented the plant resources of Pennsylvania. Arboretum staff provide services to many Commonwealth agencies, conservationists, land planners and managers, as well as amateur and professional students of botany. One of the best known aspects of the Arboretum’s horticultural research program is plant exploration, which has resulted in more than 20 expeditions since the late 1970s. The results of these expeditions have greatly enhanced the living collection with approximately one-third of the Arboretum’s plants of wild-collected and documented origin. One of the primary functions of these exploration and propagation efforts is to serve as a conduit to provide rare and unusual plants to horticulturalist plant breeders and gardeners. The Arboretum is distinguished from many other public gardens in the area by having a full-time propagator, propagation intern, and facilities dedicated to growing and evaluating the results of these collecting efforts. An outcome of these propagation efforts is the distribution of plants to a diverse group of botanic gardens and private individuals.